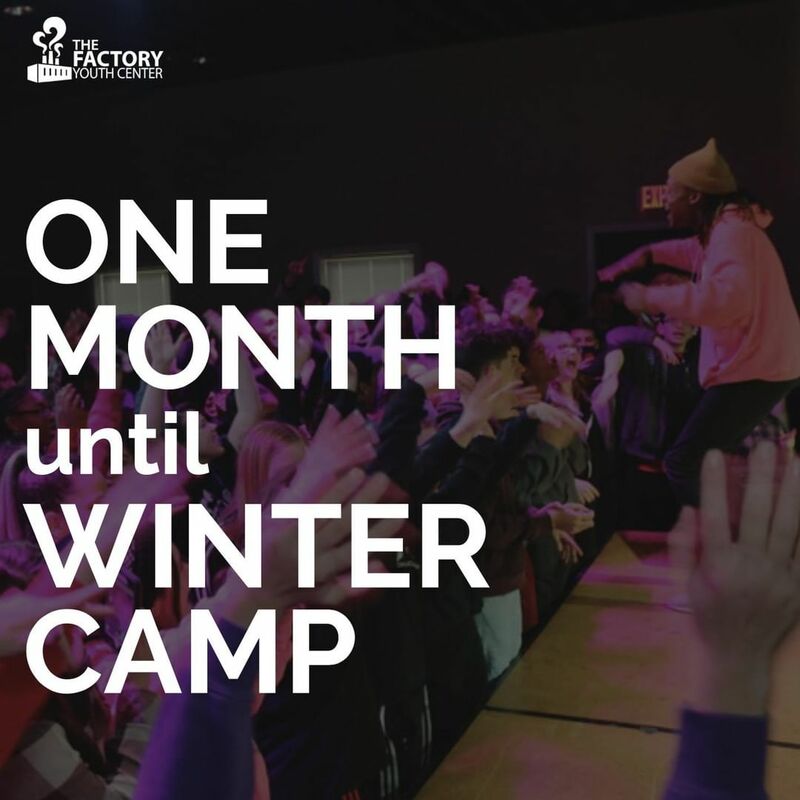 The Factory Ministries | One month until Factory Youth Center heads to Refreshing Mountain Retreat Center for Winter Camp 2019! This is one of the best opportunities that we have as a ministry to cultivate significant relationships with the teens of the youth center. These relationships are the channel through which The Factory Youth Center impacts the lives of students and will carry throughout the rest of the year and beyond. Visit http://www.tinyurl.com/fycwc19 for information on how you can take part in this incredible weekend by sponsoring a teen! One month until Factory Youth Center heads to Refreshing Mountain Retreat Center for Winter Camp 2019! This is one of the best opportunities that we have as a ministry to cultivate significant relationships with the teens of the youth center. These relationships are the channel through which The Factory Youth Center impacts the lives of students and will carry throughout the rest of the year and beyond. Visit http://www.tinyurl.com/fycwc19 for information on how you can take part in this incredible weekend by sponsoring a teen! Home > One month until Factory Youth Center heads to Refreshing Mountain Retreat Center for Winter Camp 2019! This is one of the best opportunities that we have as a ministry to cultivate significant relationships with the teens of the youth center. These relationships are the channel through which The Factory Youth Center impacts the lives of students and will carry throughout the rest of the year and beyond. Visit http://www.tinyurl.com/fycwc19 for information on how you can take part in this incredible weekend by sponsoring a teen!